Want to put commercial real estate, physical precious metals, tax liens, and other more exotic investments directly into your IRA? Learn how you can in this interview with the Senior Vice President of Equity International, Jeff Kelley. In recent years, there has been strong demand by investors to place precious metals, real estate, and other hard assets directly into their IRA accounts. This is made possible by a process known as “self-directing” your IRA. 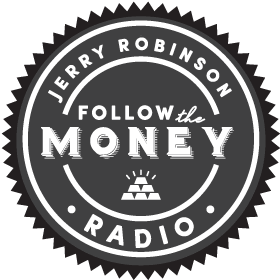 To learn more about how an investor can “self direct” his IRA, Jerry Robinson sat down with the Senior Vice President and Chief Operating Officer of Equity International (formerly Sterling Trust), Jeff Kelley, to discuss the basics of self-directed investing. FTMDaily: In layman’s terms, what is the difference between a self-directed IRA account and a traditional IRA? Jeff Kelley: Well, generally, you are using terminology that really isn’t apples to apples. A traditional IRA is, in fact, just an IRA that meets all the internal revenue codes and requirements to be a qualified account for an individual. The term ‘traditional’ is used as opposed to a Roth, which is a special type of IRA that allows you to defer after-tax dollars. When you get into the basics of a self-directed IRA, you are simply “self-directing” within a traditional IRA. That self-directing feature only means that the individual account holder, the IRA account holder, is making their own investment decisions, of course, within the realm of allowable investments under the internal revenue codes. They are making their own investment decisions as opposed to having outside financial consulting. FTM: What are the advantages of opening a self-directed IRA as opposed to a traditional IRA? JK: Well, there’s a lot of advantages in using a self-directed IRA. In our industry, the meaning of self-directed IRA has evolved into being able to utilize assets outside the normal asset classes, (stocks, bonds, mutual funds). A lot of the benefits are when you take advantage of the self-directing feature. You can go into investments that are considered alternatives such as residential or commercial real estate, private equity, precious metals, tax liens, foreign currencies, and various other types of investments that aren’t your run-of-the-mill investments, but have the qualities with respect to risk and return that help people diversify their actual investment portfolio over and above just the stocks, bonds, and mutual funds market. FTM: Are there any investments that are off limits in a self-directed IRA? JK: Generally speaking, life insurance contracts and some types of collectibles are prohibited investments in your self-directed IRA. How the regulations are written, they basically describe what you can do in an IRA, and then they give you specific exclusions that are not allowed, such as collectibles, artwork, and things like that. The regulations do not specifically go in depth into all the asset classes you cannot invest in. Instead, they focus on what is allowable, and then provide you with the few exclusions that are definitely going to be prohibited in an IRA. FTM: What are the most popular investments that people place into a self-directed IRA? JK: We really see a large number of investors going into precious metals and real estate. 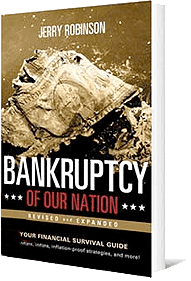 We also see a lot of investors buying promissory notes, and a lot of private notes, as that industry has evolved a lot recently. We also see a lot of REITs now being put into self-directed IRAs because they have a specific benefit of holding real estate, but it is diversified across multiple holdings of real estate. Those are really the core assets we see going in, in volumes, into self-directed IRAs. FTM: It’s interesting that the option of “self-directing” an IRA is available to individual investors. It’s not something that most people are aware of, and the fact that investors can actually go out and buy hard assets and place them into their IRAs is certainly not something that is advertised in the mainstream financial press. In your opinion, why is this option so hidden from the average investor? Why do people not know about this, and perhaps I should ask, is it completely legal? JK: First, it is completely legal. There are some things about self-direction that are a bit more advanced. You do need a certain level of understanding and knowledge with respect to investing, as you’re making the decisions on what eventually will be your retirement. That creates a segment of the market that really is smaller because a lot of individuals out there prefer to turn to professionals to help them with their investing. Those professionals, at times, they do want to use alternatives to help their clients diversify. But I think it ultimately goes back to the fact that self-directing an IRA does require a certain level of knowledge and sophistication. There have been instances where, because of their risk structure, self-direction has not turned out well for people who didn’t understand what they were getting into. So, this is a market that has always been out there, and it has always been legal, but it does require a definite level of knowledge that’s over and above the normal level of knowledge that a lot of investors have. Those investors likely do choose to get professional help. FTM: Now, I know you’re not a tax advisor, but, for a person who is interested in self-directing their own IRA, are there any unique tax rules that apply specifically to a self-directed IRA that do not apply to traditional IRA investing? JK: There are no differences in the tax rules specifically relating to the IRA as a means to retirement. There are obviously different tax treatments between a traditional IRA and a Roth IRA. And there are some differences in the taxation of certain investments that you can hold in a self-directed IRA. Those investments that generate income reported on a K-1, for example, will experience different taxation even though they’re inside a qualified account. Self-directed IRA investors do run the risk of having some outside tax liability of the income from those types of investments. FTM: There’s a lot of popularity among young people today with the Roth IRA because of the tax free distributions at retirement. Is it possible to have a self-directed IRA that is a Roth flavor? JK: Absolutely! We are seeing a lot of interest in that specific product. The Roth IRA, like you said, has tremendous benefits after you meet the required holding time period. Depending on your current situation and your projected future situation with respect to income tax rates, and what you may or may not feel about where income tax rates are going, a Roth Self-Directed IRA can be a very attractive option. After all, a Roth IRA allows you to grow your funds on a tax-deferred basis and withdraw them in retirement tax-free. So, yes, it is a really important feature, and it can be very beneficial to a lot of the population. FTM: Jeff, if I were to take my money and purchase a piece of real estate and place it into a corporation, my own corporation, I would run the risk of having my corporation sued if someone ever wanted to sue me over that property. Using that same logic, if I place a piece of property into my self-directed IRA, can my IRA be sued as well? JK: There are many, many different factors to consider when answering that question. Generally, when it becomes an asset within an IRA, it cannot be attacked for legal settlements and lawsuits. There could be certain situations that arise to override that. However, when you own a piece of property in your IRA, and that property has met all the requirements, and there is no direct personal benefit derived from it, it will generally be shielded from outside legal threats in that specific situation. Of course, I am not a legal advisor. But I have never seen that happen before. 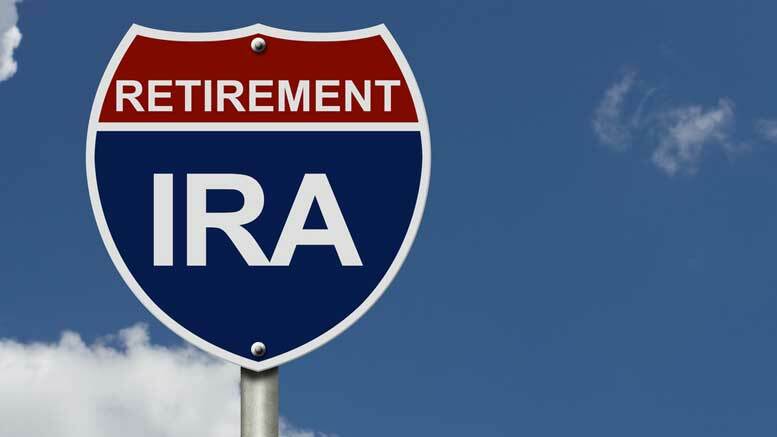 FTM: Is it possible for me to rollover an old 401(k) account into a self-directed IRA? FTM: What are the fees and costs involved in a self-directed IRA, and what kind of services should investors expect to receive from those fees? JK: The fees vary based on the assets held by the custodian. From the standpoint of annual fees, you should expect just a flat annual fee in your self-directed IRA. For that fee, you will not receive investment advice, obviously, because the IRA is self-directed. But, you will receive the documents to set up the account and all of the required tax reporting at the end of each year (with respect to 5498 reporting, etc.) So, the service side really boils down to holding the assets and making sure that those assets remain in a “qualified” account and to provide the annual tax reporting each year for you. Generally, you should expect to pay a set-up fee in the neighborhood of $50 to $100. Then to maintain your IRA on an annual basis, fees can range anywhere from $250 to $500. FTM: Thanks for your time, Jeff. Jeff Kelley has over 20 years of experience in financial services operations management, and was named Chief Operating Officer of Sterling Trust in January 2008.